During our last road trip, Pops and I stopped in Reno to visit our friends Dwight & Erika. 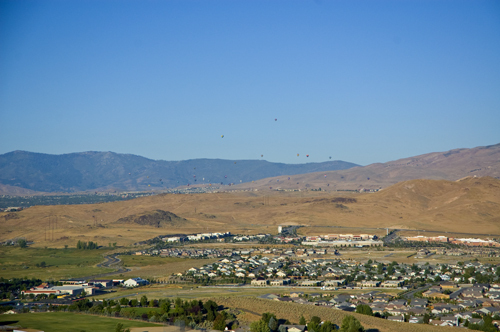 We lucked out because while we were there The Great Reno Balloon Race was happening. 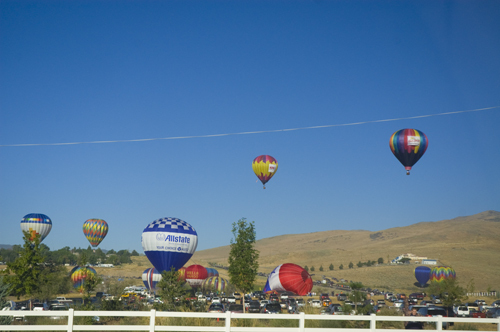 This is the largest free hot air ballooning event in the Nation. It lasts for 3 days in early September. 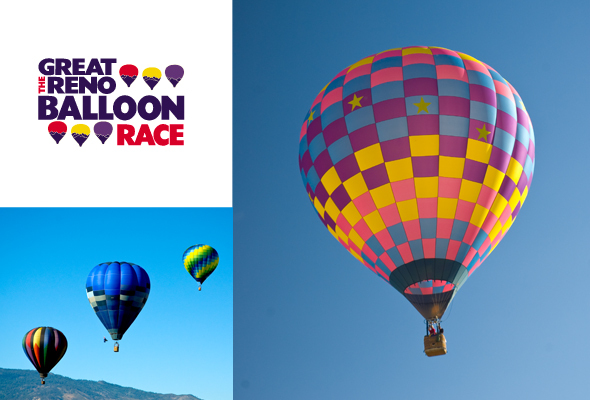 The event began in 1982 with just 20 balloons. 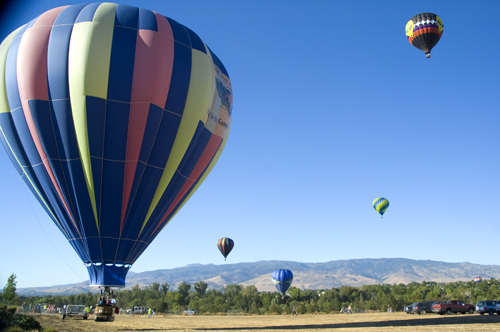 Today, there are more than 100 balloons flying high each year. The race days start quite early in the morning. We didn’t make it down for the start, but were able to see some of the early flying from our friend’s house. See the balloons off in the distance? 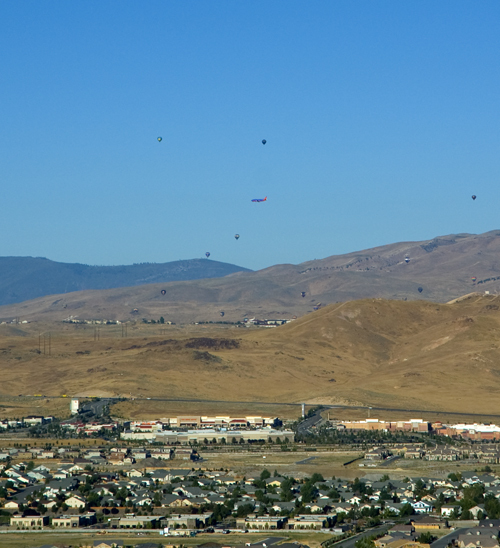 Kinda far away, but from this vantage point we were able to watch a Southwest airplane following it’s flight path (landing in Reno) come really close to the balloons. The Casinos even got in on the balloon action. 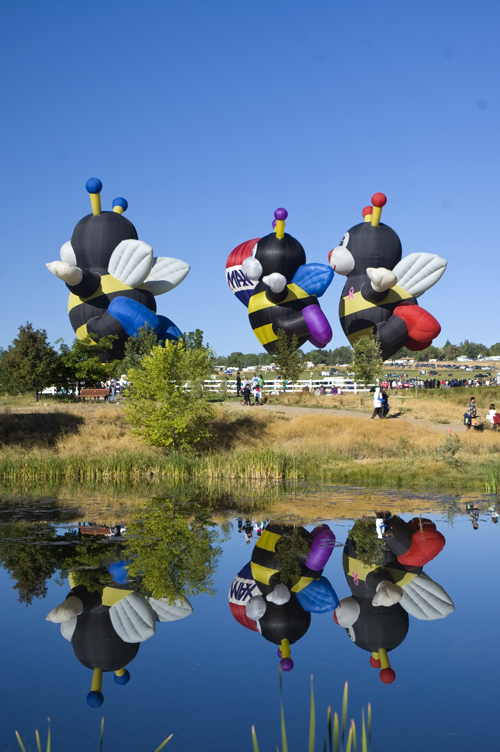 The sky was so vibrant that day, it really showed off the balloons. Balloons were in different phases of going up or down everywhere. 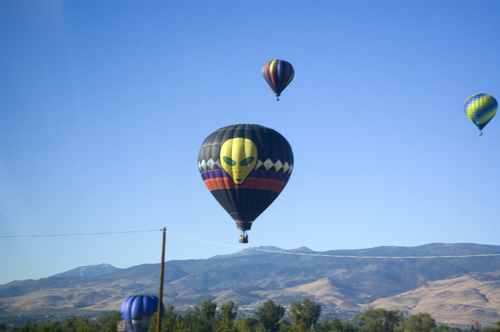 All balloons have ground crews that track and follow them and help them with their landings. 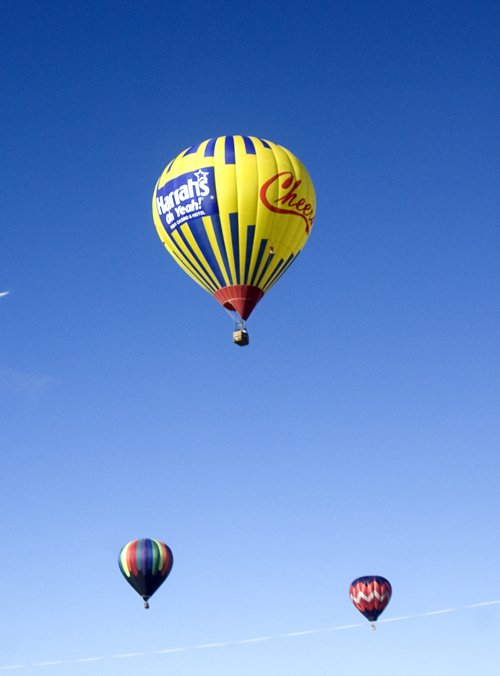 In this next shot, you can see how the people in the balloon drop a rope to their ground crew. 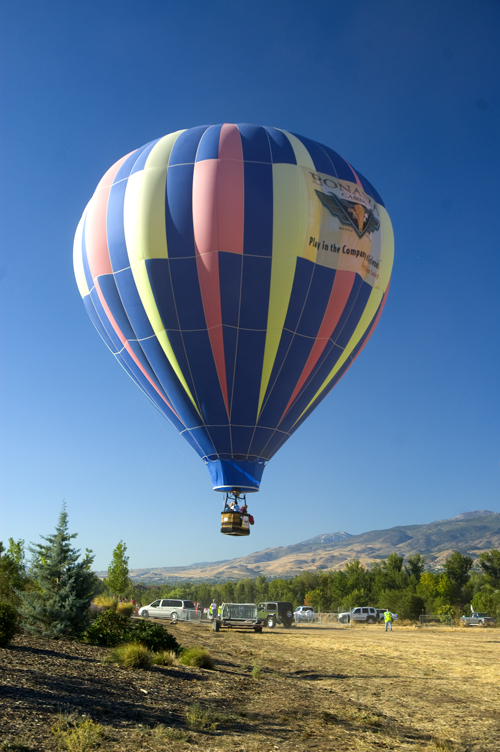 Then the crew can tug the balloon to a safe landing spot avoiding the tops of the cars below. See the rope dropping from the closest balloon? The size of these balloons was massive. Notice the bees have Pink Breast Cancer Ribbons on them! 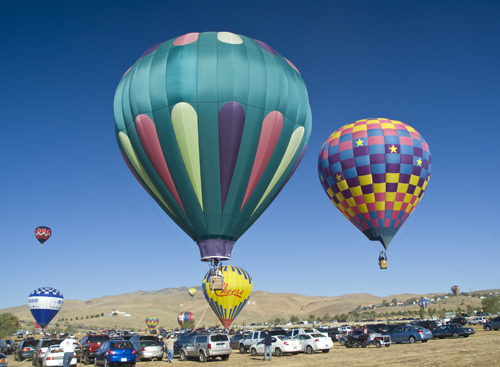 So, if you ever find yourself in Reno, Nevada in the beginning of September, remember to look up – the view could be amazing! 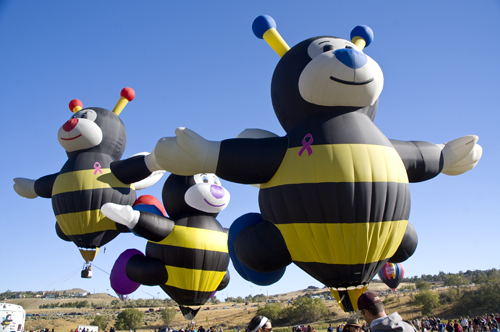 those bee balloons are SO CUTE! i want one in dog toy form. i could just see my pitty snuggling up to one at night! I think my daughter would love this! I’m putting it on my calendar for next year! Thank you for sharing these pics!